Roidmi F8 Storm is lightweight and silent, with up to 55 minutes of powerful suction per charge. 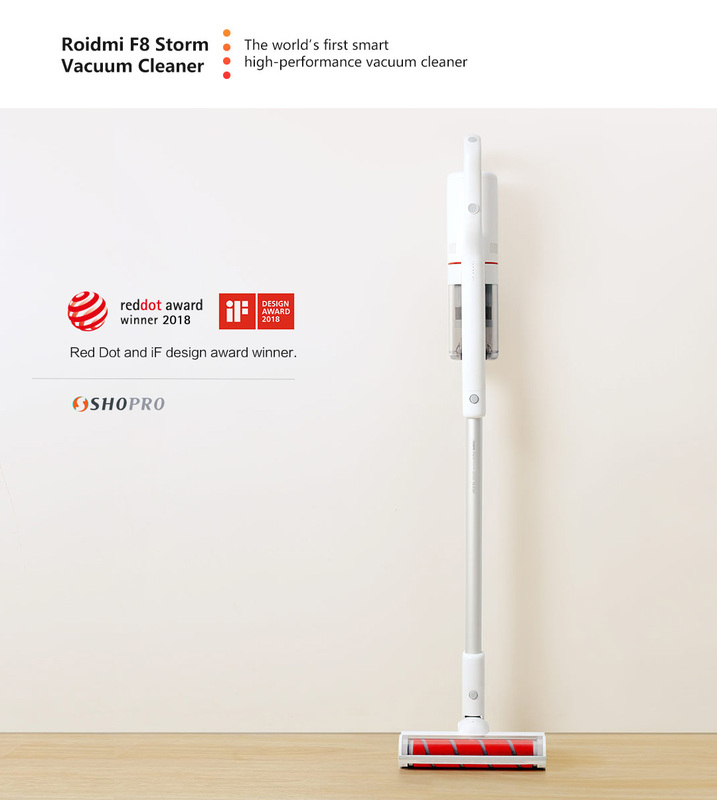 Our price is about half of what you’d find on the market for this type of high-performance vacuum cleaner. 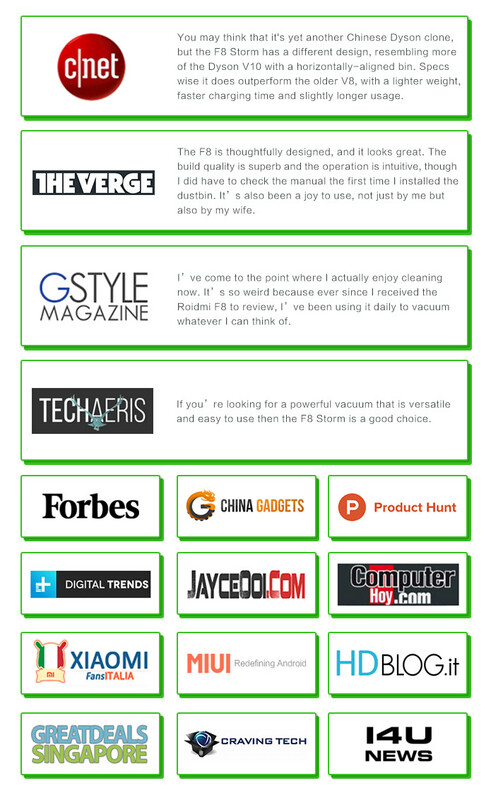 We achieved this cost-effective price both by optimizing the product design, and -thanks to being an important member of the Xiaomi ecosystem-through strong supply chain management. Powered by an 100,000 rpm brushless DC motor,the Roidmi F8 Storm generates strong suction power. 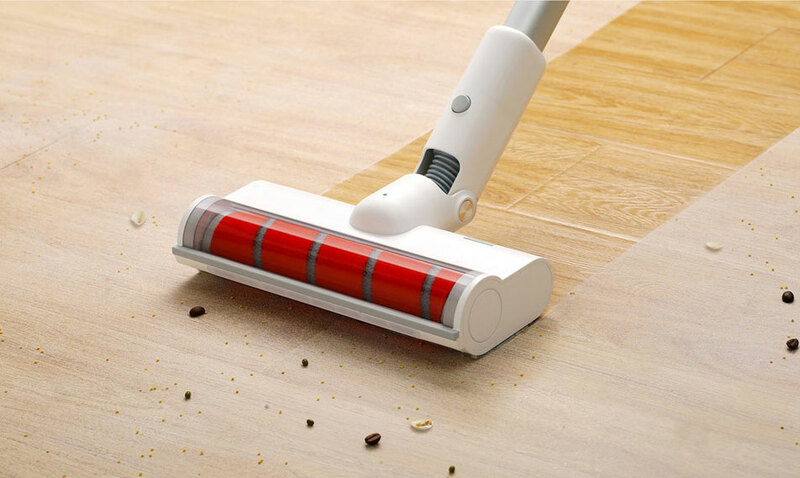 It's engineered to capture ingrained dirt and mess from carpets, crevices in the floor, and even mattresses. The digital motor generates up to 18,5KPa centrifugal air pressure, effectively removes the dust on the ground. Using simplicity as a design concept to achieve an all-white attractive exterior while allowing the cleaner to remain lightweight and user-friendly. The 270-degree curved, large handle designed for easy gripping works with various cleaning heads for different tasks. 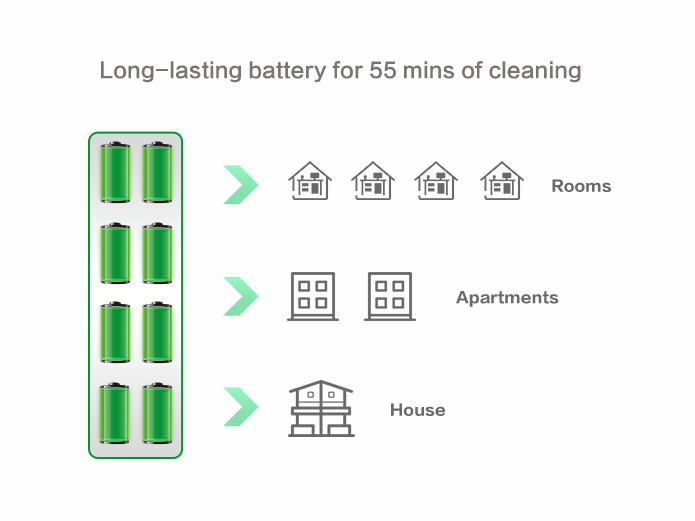 A high-performance Samsung lithium battery provides up to 55 minutes of powerful suction while in standard mode, covering an estimated area of 350 square meters (3800 square feet). The battery can last up to 10 minutes while the vacuum is in max mode, giving enough operating power to deep-clean your home. In addition, an intelligent power management system ensures the battery is used to its full capacity each time. 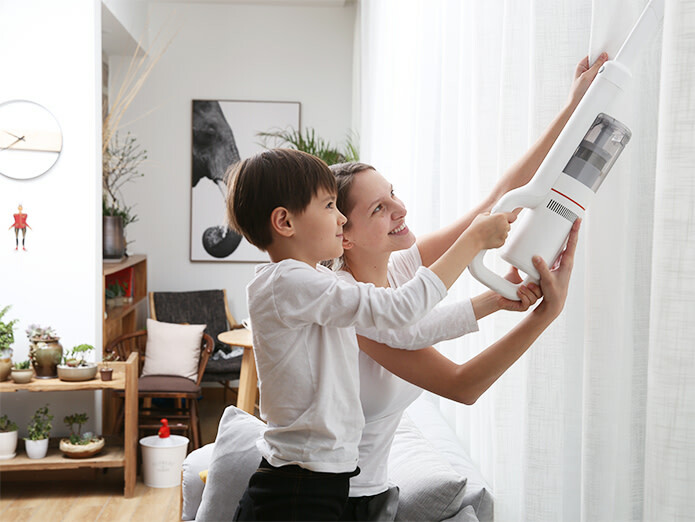 With its four-layer filtration system, the Roidmi F8 Storm intercepts hair, dust, allergens and dirt, resulting in cleaner air. 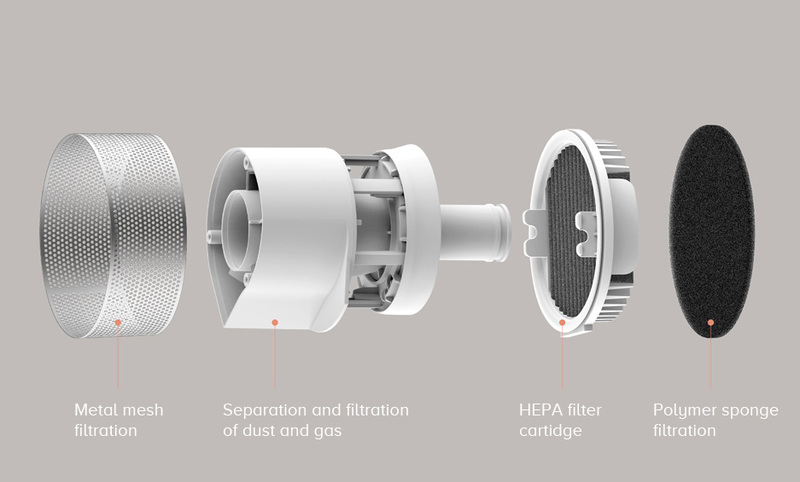 The filtration system absorbs participles as small as PM0.3, purifying up to 99% of your air. 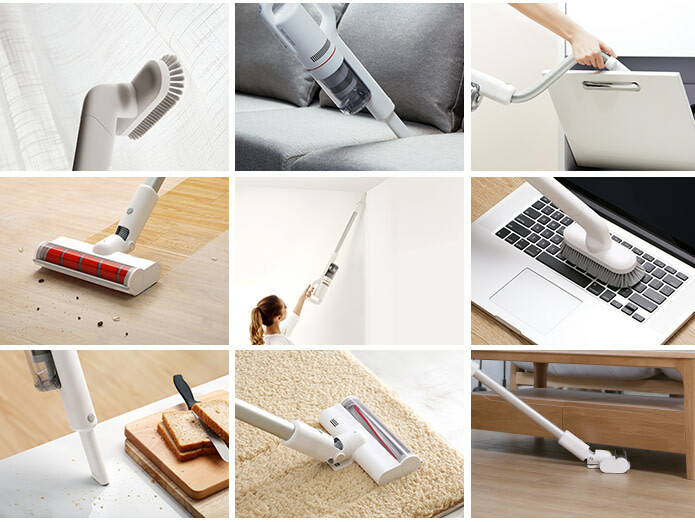 With its variety of swappable cleaning heads and tools, the vacuum cleaner allows for easy adaptation to any kind of cleaning chore. 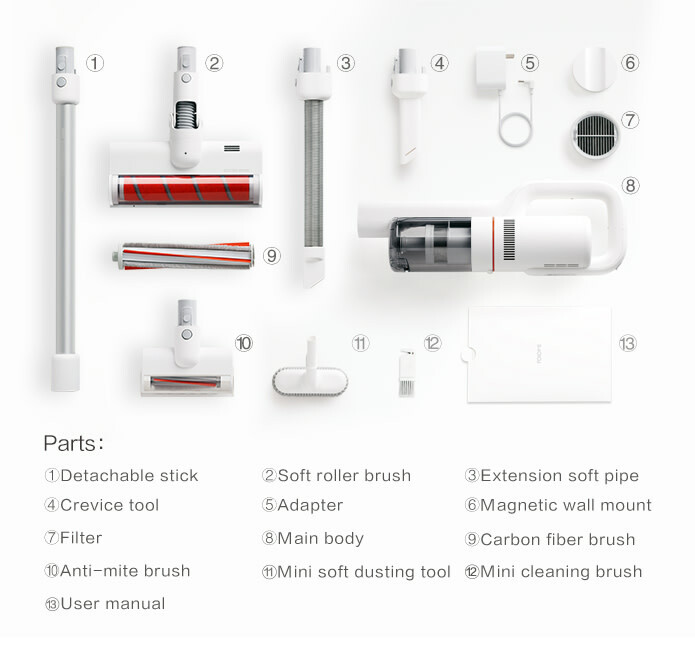 Its unique self-driven cleaning function also makes cleaning effortless. The Roidmi F8 Storm has a built-in DC motor in the brush head, which transfers torque more efficiently, making for more powerful and deeper cleaning. 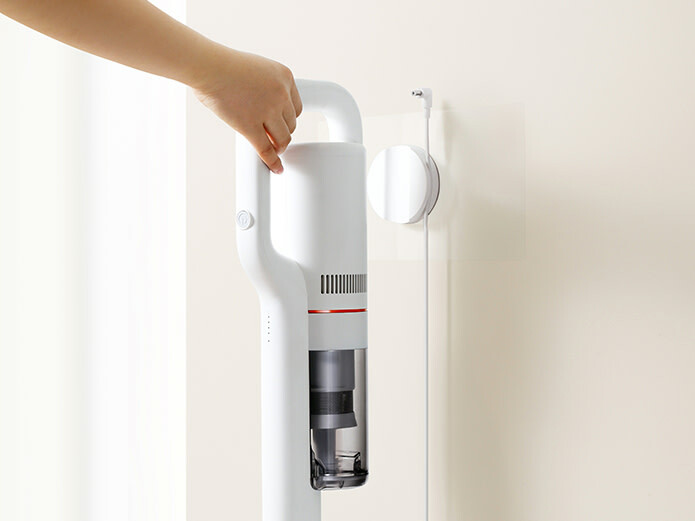 The vacuum's magnetic holder is designed for easy storage. Simply bring your Roidmi F8 Storm near enough and it will automatically 'stick'. With a charger installed next to the holder, the Roidmi F8 Storm will always be ready whenever you need it. 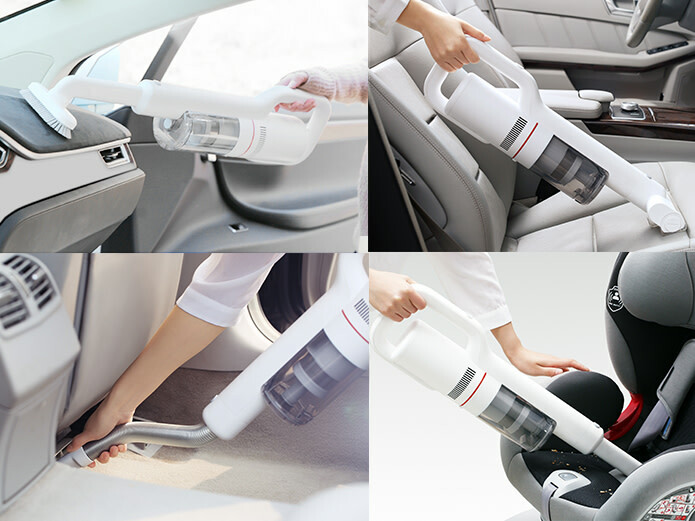 With its cord-free versatility, the cleaner is light and small enough to reach every nook inside the car. You can connect the Roidmi F8 Storm to your smartphone via Bluetooth technology. With the Roidmi Intelligent Life App, you can check battery usage, filter capacity, and receive alerts to empty the vacuum. 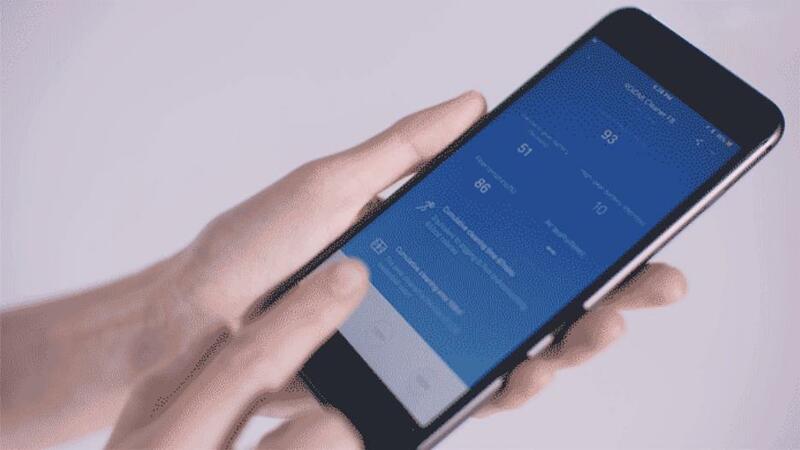 The app even tells you how many calories you’ve burned while cleaning. Traditional vacuum cleaners with cords are heavy and not very user-friendly. 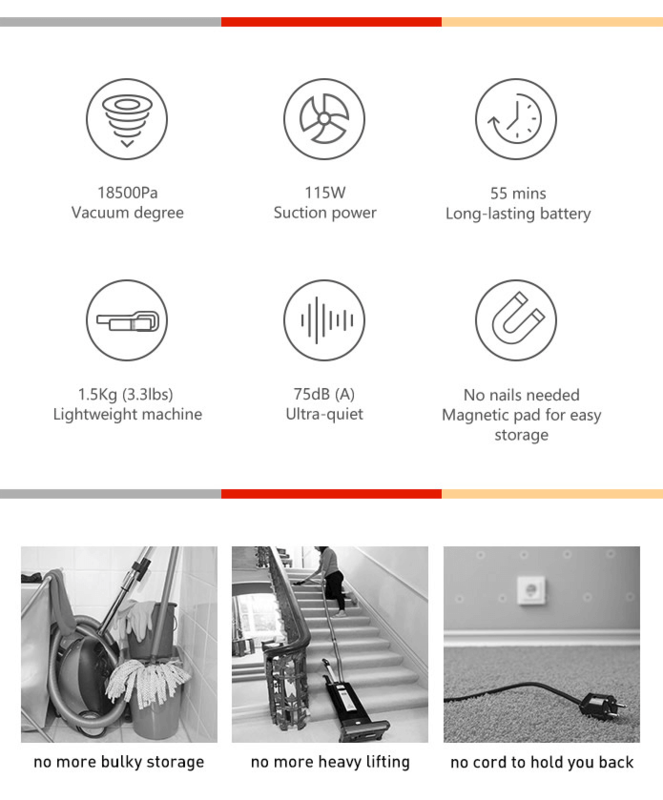 But upgraded, cordless vacuum cleaners often aren't as powerful as their bigger counterparts.. After extensive work, Roidmi came up with its latest F8 Storm vacuum cleaner, a combination of powerful suction and lightweight construction. We use simplicity as a design concept to achieve an all-white attractive exterior while allowing the cleaner to remain lightweight and user-friendly. The 270-degree curved, large handle designed for easy gripping works with various cleaning heads for different tasks. 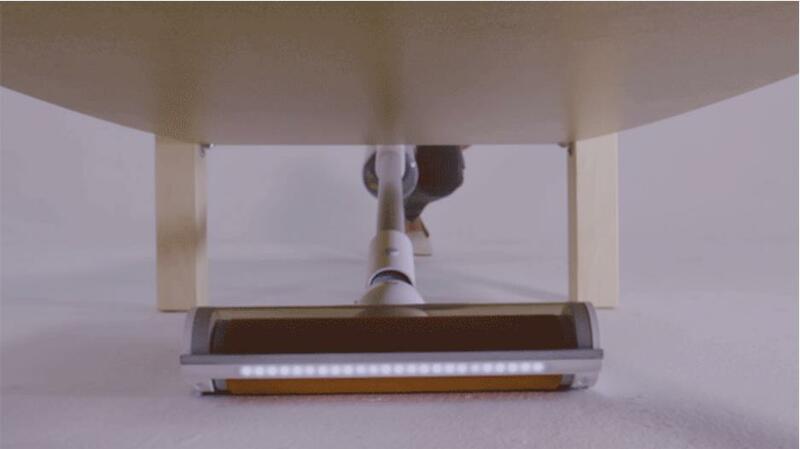 The vacuum has a searchlight combined with a photosensitive sensor. When cleaning in dark places, the light automatically turns on.